The amplifier we have here for this review has been left turned on for about 24 hours for the burn in. Its look is very clean, linear and modern without many frills. 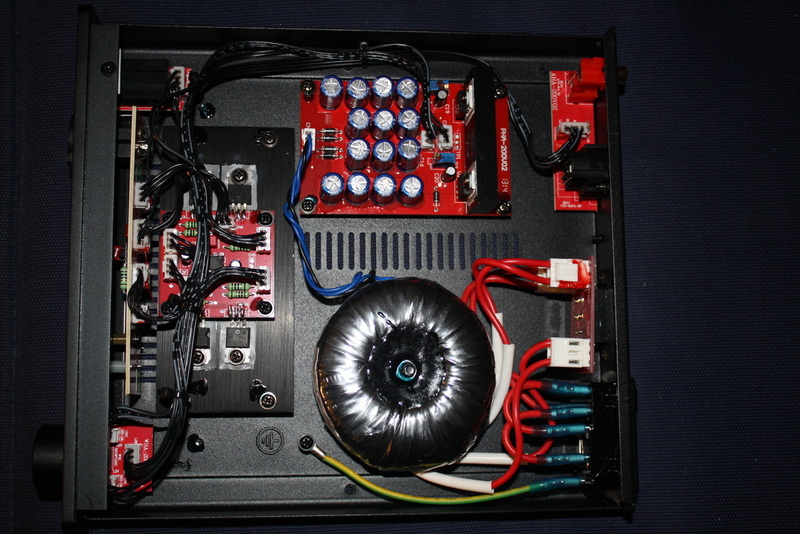 Its front panel has a volume knob and a small, red led that indicates its correct use. The switch to turn it on is positioned on the back together with the A/C power selector. 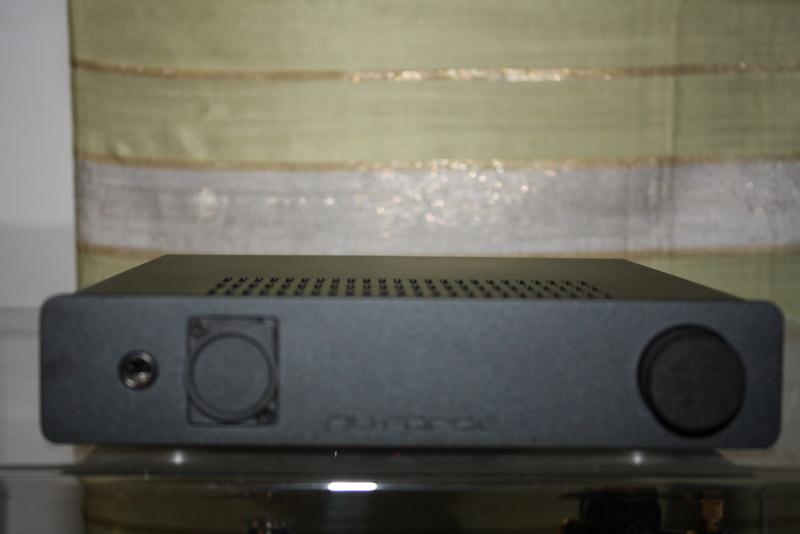 On the back, we find also the RCA inputs and an XLR input to use the amplifier in mono mode together with another HA200, to create a full balanced amplification system. On the front panel, covered with a plastic lid, there is the XLR output that functions whenever you use the balanced input on the back. The headphones we have for the test are the Audeeze LCD-X, LCD-XC, Sennheiser HD800 and a Beyerdynamic T1. The amp performed well with all the headphones, it is capable to drive them flawlessly, unless you want to listen to music at a very high volume. 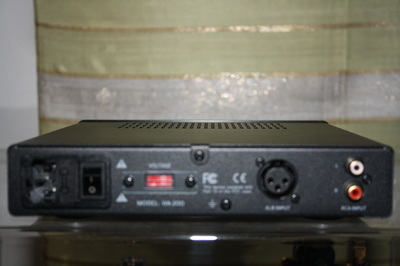 When the volume is too high, the amplifier loses the details and its correctness - that is one of its trademark - and the listening becomes annoying. The HA200 plays well, with many details and its response is fast, considering also the fact that its price is very interesting and competitive. Its sound is very warm, close to the sound of a tube amplifier and it makes the biting sound of many modern headphones more round. In order to obtain the best results the amp must be turned on at least 15 minutes before you start listening. In this way the sound becomes smoother. This device, being biased into Class A, runs warm as it plays, therefore it must not be placed under other components. 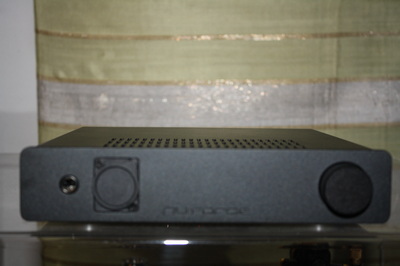 This NuForce HA200 drives very well all the headphones we have tested including the 600 Ohm Beyerdynamic that for its characteristic features loves best power amps that are very generous in supplying power. With the modern planar magnetic headphones, the sound is good and if you to listen to jazz music all the details are nicely in evidence. 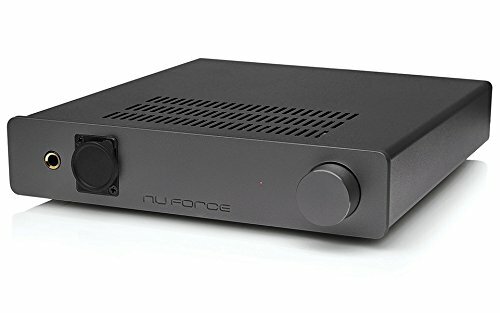 If we want to find a fault we can say that the NuForce lacks a bit in determination but we must also remember that it is almost an entry level power amp and that it is perfect for all those that want a small system for headphones at a competitive price. In the box we find the power amp and also a computer style cable that I suggest to replace with something more audiophile, to enhance the quality of the sound as for clarity and extension. All in all it, is a well done product that can give many satisfactions to the owner and when you’ll want to change it with something that has better performances it’ll be necessary to spend a lot of money!